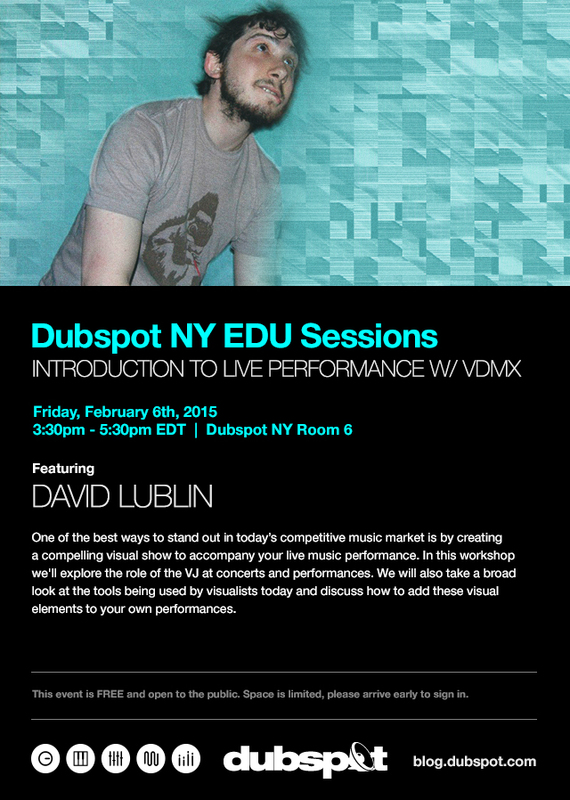 On Friday, February 6th, Dubspot NY EDU Sessions continue with a special visual performance workshop focusing on the role of the VJ in today’s electronic music world. We will also offer introduction to the visual performance software VDMX. One of the best ways to stand out in today’s competitive music market is by creating a compelling visual show to accompany your live music performance. In this workshop we’ll explore the role of the VJ at concerts and performances. We will also take a broad look at the tools being used by visualists today and discuss how to add these visual elements to your own performances. RSVP on Facebook. This event is FREE and open to the public. Space is limited, please arrive early to sign in. Visit our New York and Los Angeles locations! Ask our Admissions Counselors in-depth questions about our programs, curriculum and philosophy. Watch live music production and DJ demos, and test drive our student workstations. If you are still trying to decide what you are looking for, stop by one of our Open Houses in NYC or schedule a tour in LA to find out more about the learning process at Dubspot. We can also help with scheduling details and payment options.